Anchorage Alaska Stories - that let your imagination take you back to the Anchorage you remember. Do you enjoy this page? 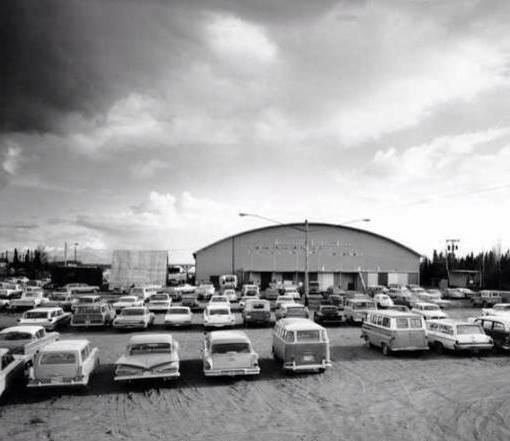 Do you have a story about your Anchorage Alaska Memories? Click below to read interesting stories submitted by our site visitors. Am I a Husky or a Ram? Gilman's Bakery - Got Any Free Donuts Today? Just scroll up and start posting. It's Easy, It's Fast, It's Fun. 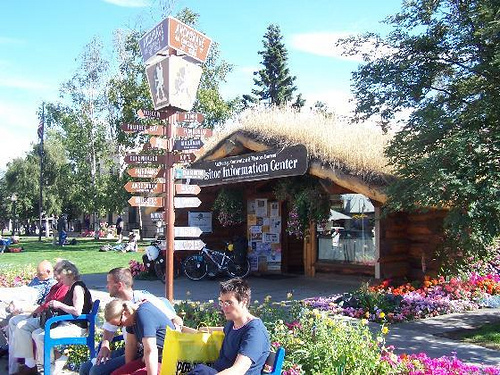 Were you living in Anchor town before Alaska became the 49th state? For Mary and I, while we no longer call Anchorage home, the town and all those wonderful memories of growing up there will forever be in our hearts. Living in Alaska's largest city gave us a different perspective on our world. We grew up in a magnificent land where we were close to nature, where our local TV weather reports always included how many minutes and seconds of daylight we had either lost or gained on that day. And where most of the supplies for living had to either be flown in, trucked in or brought in by boat. We grew up in Anchorage, where you didn't keep a pitcher of water in the refrigerator because our drinking water came right out fresh and ice cold right out of the kitchen faucet. We grew up in Alaska where a billion stars filled each clear night sky and where more daylight hours made summer days long, and where winter nights were long and cold. We grew up where on summer days we went swimming at Goose Lake, and on winter weekends we went skiing at Mt. Alyeska Ski Resort in Girdwood, Alaska. 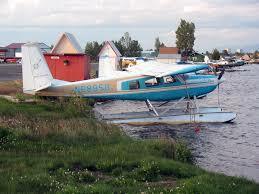 Did you ever fly out of Anchorage's Lake Hood? Over the years, Mary and I have relived our years of growing up in Alaska and raising our family in Anchorage. And those stories are dear to our hearts. Our children (now grown) also have lots of great memories from the many years they spent in the great land. And so with that in mind, we created this special place where those wonderful memories will be not only preserved, but shared with others. Living in Anchorage give you a different view of America and the rest of the world. I'm not even sure that it's easy for some Alaskans to put their feelings into words. As an Alaskan, and living in Anchorage, you're part of a very special place here on planet earth. You're part of an incredible place where nature is still in charge, where nature is respected, admired and held in awe. Growing up in Anchorage, isn't like growing up anywhere else on earth. And while many of the stories you'll enjoy here could have taken place anywhere else, a lot of the stories could have only been experienced in Alaska. Did you live in Anchor Town? Do you still live there, or have you visited Alaska's largest city? Our site visitors would love to read your stories. Yes, living in Alaska is an amazing experience. And for so many who live in the "lower 49" visiting the Great Land is on their bucket list. So with that in mind, we've give you the perfect place to preserve your Anchorage Alaska stories online, right here, to share them with family and friends no matter where in the world they live. Your stories are precious and worth preserving. Just scroll back up the page to the easy form and start telling your story. For more Anchorage Memories, visit You Know You Grew Up in Anchorage if... page on Facebook.